Anxiety Centers of Illinois — Anxiety Centers of Illinois provides the lastest evidence-based techniques for the effective treatment of anxiety. 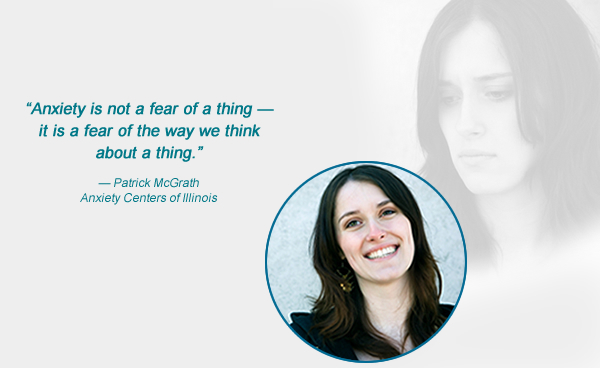 At Anxiety Centers of Illinois, we focus on one thing: anxiety. Our therapists are highly trained in the lastest evidence-based techniques for effective anxiety treatment. ACI is your home for clear, effective treatment of anxiety disorders including stress, panic, phobias, school refusal and OCD. We will also assist you with the depression that often accompanies your anxiety. Avoiding what you fear and seeking reassurance from others may give you short term relief, but will ultimately maintain your anxiety in the long run. Our goal is to teach you a new way of coping with your anxiety so you can develop and utilize new skills to manage your fears. Call us at (847) 854-8200 today. Rule number 1 to remember - OCD lies to you. Remember this phrase and you will do well. In all of the years that we have been treating OCD we have never once found it to tell the truth. OCD tells you that it is telling the truth, but that is also a lie. If OCD were telling the truth, then you have to consider why it tells you that you need to do things that people without OCD do not need to do? If OCD were to tell you the truth, then it would tell you to act like everyone else does since … Learn more here. Child Struggling with Going to School? If you have a child that is struggling with going to school there are many things that you can do to assist them in getting back to school. Sometimes it may be as easy as having a meeting with a child and a feared teacher to work everything out. Or, maybe your child is refusing to even leave home all together. There are numerous books about School Anxiety on the market, but you may find some of these tips to be helpful right away. Set up home to be like school. If your child will not go … Learn more here. Panic Attacks can be amazingly frightening to people – especially since many of the symptoms seem to mimic a heart attack and many people having a panic attack will rush to an emergency room since they think that they may be dying. However, no one, as far as we know, has ever died of a panic attack. So, what is the best thing to do for panic? Many practitioners insist that you just need to do deep breathing exercises and progressive muscle … Learn more here. Ah the holidays – a time of fun and a time of frustration as well. Do we buy the right gift? Are we going to be able to see all of the family members? If not, will they be disappointed, and if they are how will we make that right? A few things that have happened in my family to make the holidays easier. 1. We got rid of the grab bag. It was a hassle, and it was a lot of money. Now we pick a theme and have a limit of $15 or $20 dollars and that is even more fun because now you can see what others got and steal gifts from each other. … Learn more here.